Perfect where hygiene and sanitation are of most importance. 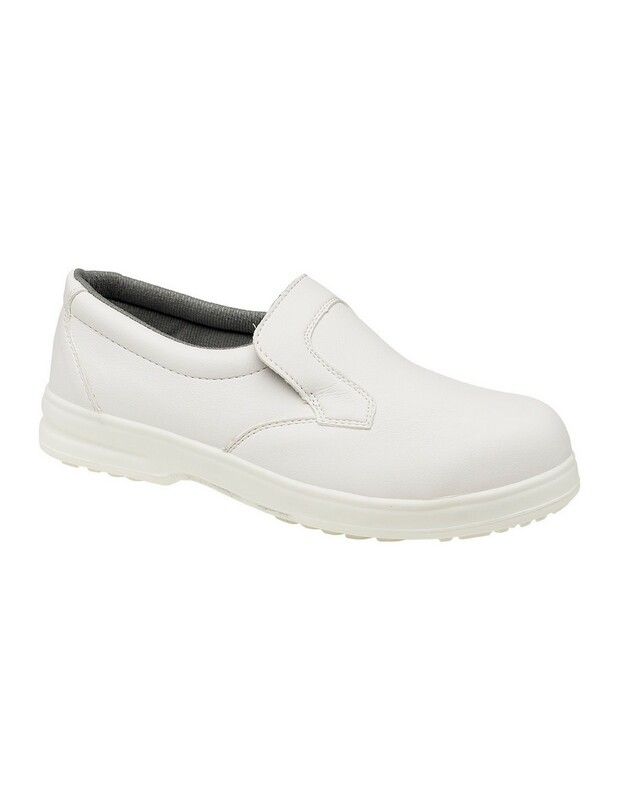 Slip-on leather shoe with mono-white upper. Mono-density PU sole aimed for best possible slip resistance. Padded ankle collar and antibacterial fabric lining for ease of use. Complies to ISO20345 safety footwear standard. Heel energy absorption to 20 joules.